This letter penned by Dr. Todd Smith, Dr. Phil Taylor, and Dr Dave Shutler (all from the Department of Biology) garnered the support of 47 Acadia professors and was passed on to The Athenaeum by an anonymous source. We the undersigned are writing to very strongly urge members on both sides of the current contract dispute to quickly return to the bargaining table in good faith, and come to an agreement that is fair for both sides. A strike on Monday will cause serious and irreparable harm to this institution, reduce the morale of many faculty to new lows, and dial back enrolment to potentially dangerous and unsustainable levels, which will cause further fiscal pain. All of us have invested the bulk of our careers here, and we do not have any desire to see this University fail. The rhetoric we have seen from both sides over the past weeks is unproductive and unprofessional. Our students are anxious and unable to concentrate, which has negatively affected performance on evaluations this term. Unlike the situation in 2007, the vast majority of students does not support, and frankly do not understand the need for, job action. Their fond memories of Acadia should not be marred with recollections of anxiety and inconvenience induced by a faculty strike. Salaries: AUFA is asking for an average of 2.12%, 2.22% and 2.32%, skewed toward the higher-earning full professors. The BoG is offering 1.1%, 1.2%, 1.3% and 1.4%. The current increase in the cost of living index is 1.4%, and yearly increases in Canadian tax rates are also set at 1.4%. In 2010, AUFA agreed to a deal where the yearly increases were only 0.7% for each of three years, and therefore salaries of most levels of AUFA members are lower than regional universities to which Acadia is often compared. This is an important deficit, but can it be corrected in one contract without negative financial effects on the University? Complement: AUFA is asking for the number of full-time professors to be set at 182. 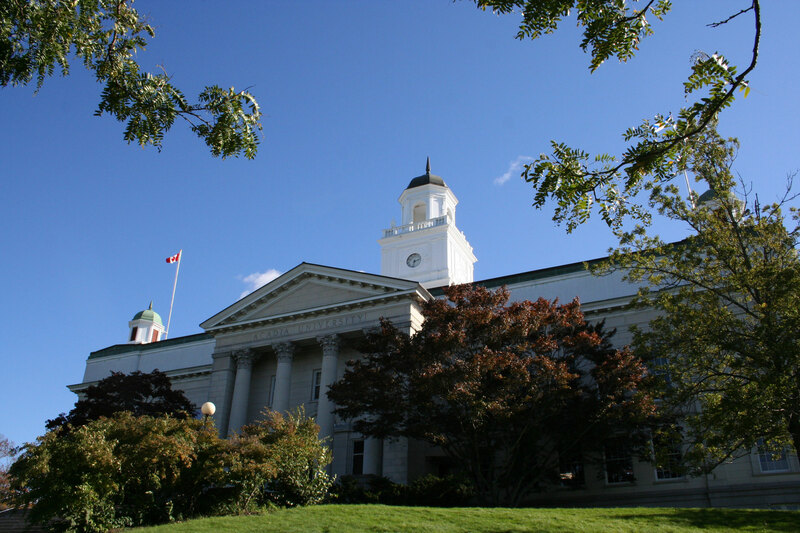 There are currently 150 full-time professors at Acadia. There are also 14.5 full-time CLTs, 7 CLTs of limited term (i.e, 12 to 36 month), and 7 advertisements for full-time tenure-track positions. AUFA has derived an innovative mechanism to integrate these CLTs into full-time complement. The University is already paying these CLTs the same salaries as assistant professors, and some at even higher ranks. The University is concerned that a complement number as high as 182 will not be sustainable if there is marked decline in enrolment. The demographics in Nova Scotia show a steady decline in the number of children in the province. Instructors: AUFA is asking for full-year sabbaticals for Instructors, as well as creation of another rank, Instructor III. The BoG has been resistant to both ideas. Instructors in some departments do serve as lecturers for courses and run fully-staffed laboratories, but many do not, so most would not benefit from a full sabbatical. That said, replacing Instructors on full sabbatical is not an onerous outlay of money, considering the 20% reduction in salary. There is not the expectation that Instructors serve as lecturers or run laboratories, so is it worthwhile to build another rank? What about an additional two to four grid steps on Instructor II to serve some of the same purpose? Day care: Many universities have a child care centre, for faculty, staff, and students alike. Acadia faculty, staff, and students should have convenient access to child care. Child care centres across Kings County, including the Wolfville Children’s Centre, report much shorter wait lists (i.e., only six weeks) than in the past. Child care is an issue that should be resolved with a joint committee of faculty, staff, students, and administration, so that everyone benefits from campus child care, not just members of AUFA. Art Gallery Curator, Pay Equity Maintenance and Early Retirement: Outsiders wonder why the University does not simply add the Art Galley Curator into AUFA as AUFA has requested. Acadia has some of the strongest pay equity language in any university contract. Early retirement incentives are a mechanism to encourage older, more expensive faculty to retire to potentially make room for new, less expensive faculty with modern approaches to instruction, with innovative research ideas, and with viewpoints of a younger generation, all of which will benefit everyone at the University, especially our students. We are presenting facts, and in some cases, fact-based opinions, where we see that there is considerable leeway to derive an agreement that works well for both sides. We are taking the view of an outsider without a hat in the ring. This opportunity for an agreement is obvious to all students, staff and outsiders with whom we have spoken. Collectively, we firmly request that AUFA and the Board of Governors instruct their respective negotiating teams to get back to the table, quickly, and arrive at an agreement. At the end of the day, there HAS to be a deal, so let’s work together to find one now, before we send Acadia off a cliff that may spell the end of our institution as we know it. All of you know that this is not hyperbole. As much as we appreciate that our letter has been included as breaking news in the Ath, I (Todd Smith) must stress two points that would mislead readers. First, the letter criticises BOTH sides for inaction, not just AUFA. The 47 of us that contributed to the letter attempted as much as possible to be non-partisan, taking the view of an outsider with access to public information. Please change your headline to reflect this. Second, Dr Phil Taylor (Biology), Dr Dave Shutler (Biology) and I co-wrote the letter, and there were substantial contributions from many of the other 44 signatories. I sent the letter, but I did not ‘pen’ it myself; this was a collaborative effort among concerned faculty members. Again, please update the article to capture credit where it is due. Thank you, and let’s hope that everyone is in class, teaching and learning, on Monday morning. The title of the article is very misleading. The letter takes a non-partisan view and urged both sides to come to an agreement. The Ath is being blatantly partisan when the headline for a letter that states that “The rhetoric we have seen from both sides over the past weeks is unproductive and unprofessional,” only mentions AUFA. If your staff, or some of it, wants to endorse the Board of Governors (or AUFA) they should do so in an editoria, not by editorializing. The veneer of neutrality that The Ath has tried to claim in this has worn thin.